We clearly believe playing blackjack is a great pastime. It’s both exciting and relaxing. It’s a thoroughly enjoyable leisure activity that can be as social or as solitary as you would like it to be. 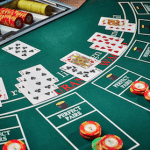 And although there is a great deal of luck involved in blackjack, which is half the fun of it, there is also a significant deal of skill involved in the game. There are always blackjack strategies to learn, practice and perfect which is another reason it’s a great hobby, there is always something to work towards in blackjack which means it’s never boring no matter how long you have been playing for. Having said all that there definitely are occasions when it is best to stay away from the tables, at least for the day. Whenever gambling with real money, it’s imperative you’re in the right frame of mind to do so, otherwise a healthy, fun way to unwind can turn into a serious problem. If you’re having one of the following days then it is one of those days where you should stay away from the blackjack tables. Not every day is a gambling day, there’s a time and place for it. Take note of when you shouldn’t play, so you can keep playing blackjack and have it never be a problem. If you’ve had a day of losing money at the tables and want to make your money back – Wanting to “chase your losses” is a common thought many problem gamblers have and is never ever a good idea. You should always head to the tables with a betting limit in mind, a bankroll amount of money you’re comfortable with potentially losing, and once you’ve reached your betting limit call it quits for the day immediately. If you’ve had a day of heavy drinking – A lot of punters enjoy having a drink or two as part of the casino experience. 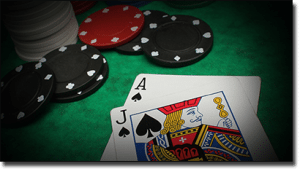 However, if you’ve had so much to drink that it is negatively affecting your ability to make play well, it’s probably best to leave the blackjack for another time. When you’re drunk you’re more likely to bet more money than you are okay with losing or making calls in blackjack that probably aren’t the most tactical. If your day has been stressful/upsetting/saddening – If you are heading to the casino to escape harsh realities you won’t be in the right state of mind to gamble with real money. 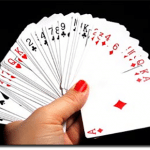 Playing blackjack should be a leisurely activity played for fun. 21 is an enjoyable activity but it won’t solve your problems. If you are having a terrible day waste a few good hands when you’re down. Play on a good day instead so you can leave the tables feeling up. If today you’re feeling short on cash – You should never think of gambling as a way to make money. It should be a fun way to spend the time but you shouldn’t rely on it to bring you cash because at the end of the day the odds are always in the house’s favour. If you are feeling tight on cash and don’t have extra money to spend at the moment, come back to the tables another time when you do. Think of gambling as you paying money to have fun while you play, and know that the money you spend playing blackjack you may not get back. Never think of hitting the tables as a way of making money. This is when you’ll get yourself into trouble. If you don’t have the money to play blackjack today it’s best to keep away from the tables. If a family member or a friend has asked you not to play today – People who love us only have our best interests at heart. If someone important to you has asked you not to gamble today we recommend heeding the advice. There’s no harm in listening to their concerns for a day. You don’t need to spend everyday at the tables and if someone close to you thinks you’re spending too much time there then chances are they’re right. If you’re going to feel guilty about playing blackjack today give it a miss – You should never feel anxious, stressed or guilty after gambling, if you do feel that way you shouldn’t have played today. There may be a number of reasons why it’s not a good day for you to play but whatever the reason it’s important not to ignore those instincts. The whole point of playing blackjack is to have fun. If you’re not going to feel like you had a good time afterwards that probably means there was a valid reason you shouldn’t have gone to the tables today, whatever that reason maybe. Know when you shouldn’t play, that way whenever you do play blackjack you’ll be sure to have a good time.